This is the first chapter of our Home Buying Guide in Vancouver. We hope you will find this guide helpful. It is often a pay raise, inheritance, wedding gift, or reaching a certain level of savings which prompts families to purchase a home. Whatever the case, you want to make sure that you can actually afford a new home – even if interest rates rise or your income temporarily falls. If you are planning to downsize or move to a cheaper neighbourhood, you have fewer worries, but you should still plan your cash flows ahead. Whereas renting poses less hassle, there are certain disadvantages to this form of living which any renter can attest to. Under most circumstances, you can expect that your rent will increase a bit each year; with a fixed rate mortgage, your payments will be level for the whole term of the mortgage. What is more, with low interest rates, your monthly mortgage payments may be very similar to (or even more affordable than) your rent in a comparable property. And you get to keep the value within the house! Always make sure to think through all your financing options carefully. Buying a home is no small deal. 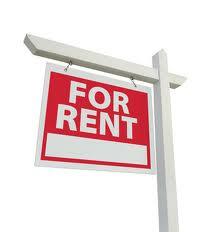 As a tenant, you cannot make major changes to the house or apartment in which you are living. Despite the fact that you may be house-proud in the extreme, the place isn’t actually yours. But as a homeowner, you can transform your living environment as often as you like and as profoundly as the law permits. There is another renting-related question, though: “Should I rent out or sell?” Having to decide whether or not to generate income with a property you already own is a nice problem to have. If you live in a tough housing market where selling conditions are unfavourable, renting out all or part of your home is definitely worth considering; money will be coming in while you wait for better market conditions. You might end up short on cash if there’s a gap between rent collected and your monthly carrying costs, but you may use the house as (added) collateral for a new mortgage. For more detailed information about selling your home, please check our our Vancouver Home Selling Guide. À propos mortgages… When you go to the bank or brokerage to find out about your mortgage options, it will speed things up if you bring proof of your liquid assets. This includes any money or cash equivalents (bank account balances), investment funds, GICs, stocks, or retirement savings. Many people don’t know that when evaluating a mortgage application, the lender doesn’t just look at current balances; they look at your financial history, too. That’s why it’s very important not to move large sums between your accounts (if you can help it), so that all the data on your average balances is as clear as possible. Changing your job position or type of employment is also not advisable during loan negotiations. Learn more about the influence of lifestyle changes and income types on the mortgage process later. See if it makes sense for you to lock in your interest rate. If the markets are volatile, this may save you a headache – or severe financial difficulty – should rates rise in the future. 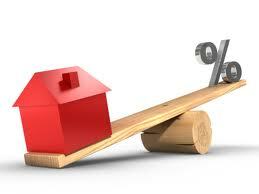 Ask the lender whether locking in your rate is an option and whether there are any fees for this ‘service’. Always visit more than one lender when you are looking for a mortgage and pay special attention to the financial institutions where you have already done business. So-called ‘relationship banking’ is alive and well in Canada. Even if the rates are similar everywhere you go, there may be large differences when it comes to fees and repayment terms. Remember, it is always better to ask a silly question than to make a silly mistake! If you are not sure that you want to finance your purchase through a mortgage, learn more about a few special financing options (below) you may have. Now that you've learned where to start and how to fund your new home, see which family and career considerations come into a home purchase plan. In some cases, you might not be able (or willing) to take out standard mortgage from the bank. If this is the case, ask the seller if he or she would consider seller financing. It is a long shot, but if the seller is not short on cash, he or she may find this a good investment option. 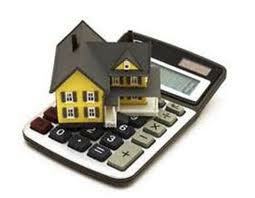 Should you proceed with such an arrangement, hire a real estate attorney to write down the financing contract for you. This will guarantee that the contract is legal and fair to both you and the seller. An option not so distant from mortgages is called mortgage assumption. In this scenario, you would take over the seller’s remaining mortgage payments. This option is more reasonable when you yourself actually don’t have to take out mortgage, as opposed to an alternative to it. If you don’t want to afford to furnish the entire house anew, you might ask the seller to leave all the necessary appliances and furniture behind for you and sell it to you as a part of the house. The cost of the furniture will thus be wrapped in the price of the home and you can in turn finance it with the mortgage (as opposed to out-of-pocket purchases later). This option is especially useful to you as a buyer if you think you will be short on cash after the purchase, because you would have to find another means of financing these subsequent purchases.